I am really impressed with my new camera. 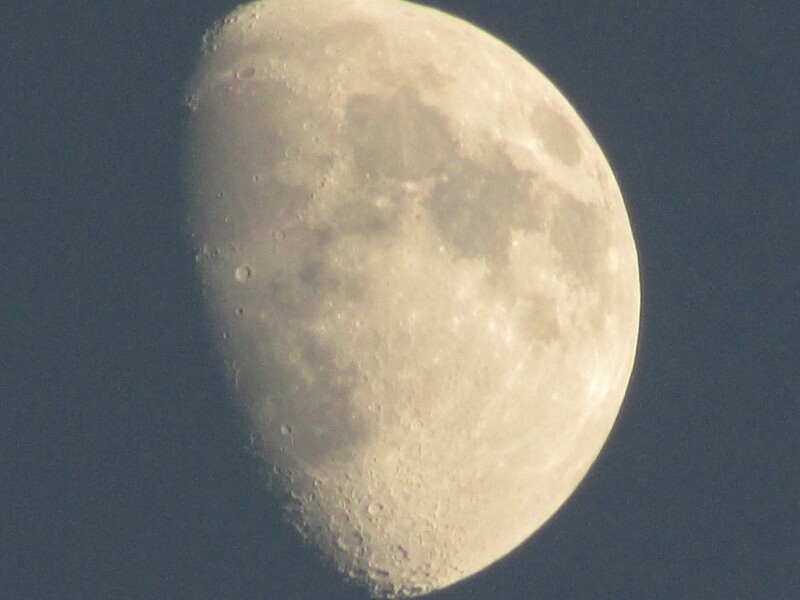 This a picture I took of the moon this month. Wow, you can see shadow and craters and everything. Cool! Beautiful picture! That must be one powerful camera; what kind is it? Was this taken with a telephoto lens?